At first , when you think about having an engagement session, you might have an option to choose some locations to be photographed. If you are choosing one location, I recommend to select your memorial place such as the couples first date, and the place you have always liked to go. And if you are choosing two different locations, I think for the photography point of view, you can choose the locations that have completely opposite atmosphere, so that you will have photos that have some variety. I usually suggest to the couple one at the beach or park, the other at the historical location or somewhere in the city area. One with relaxed casual shots and the other with nice dressed up shots. This will also help you decide what to wear for the session. If you have an idea or image of what kind of engagement photos you would like to display at your reception or having decorating your house wall, I think it will be easier to decide the color and kind of clothes you would like to wear. As far as the lighting, the best time to photograph is right before the sunset and early in the morning. So most likely the session will be in the evening or afternoon around the sunset time. 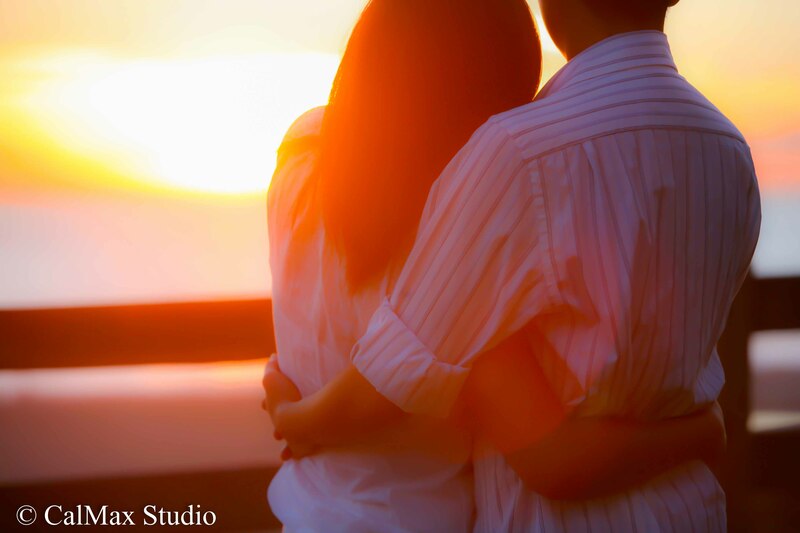 Personally I like the beach engagement session around the sunset time is the best. The couple will be relaxed and enjoying each other at the beach and the lighting of the sunset makes a beautiful story of the couple.